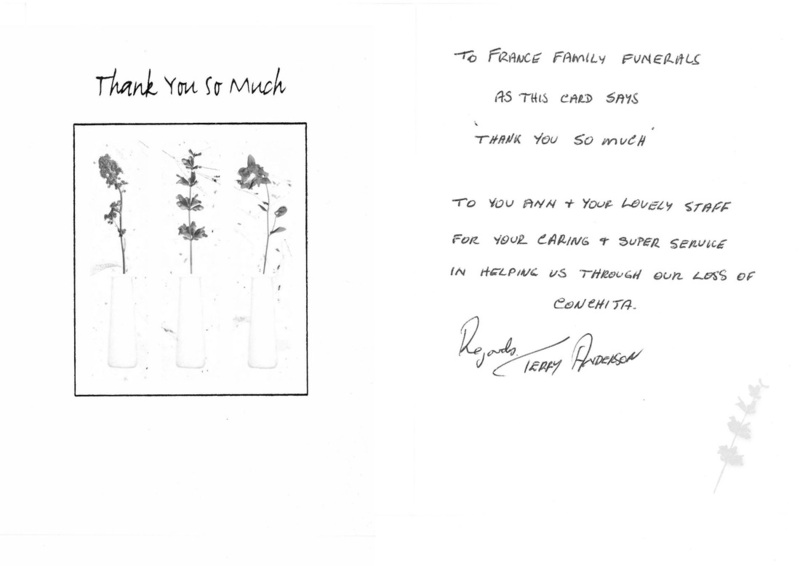 France Family Funerals is recognised throughout the region for its longstanding tradition of caring, personalised service, honesty and integrity. Each staff member pursues a rigorous program of continuing professional development, and holds the highest ethical standards, respects the feelings of the bereaved, and respectfully cares for the physical needs of the deceased. 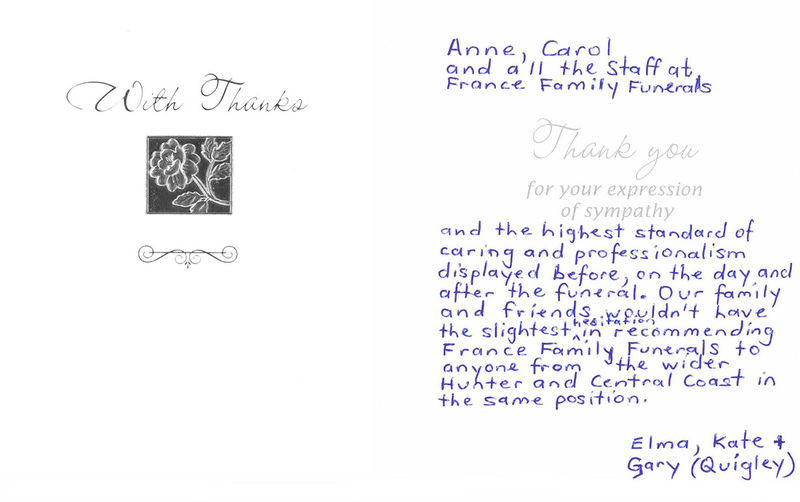 It’s been said that “excellence is in the details.” At France Family Funerals, we know this to be true – so we concentrate on the details. 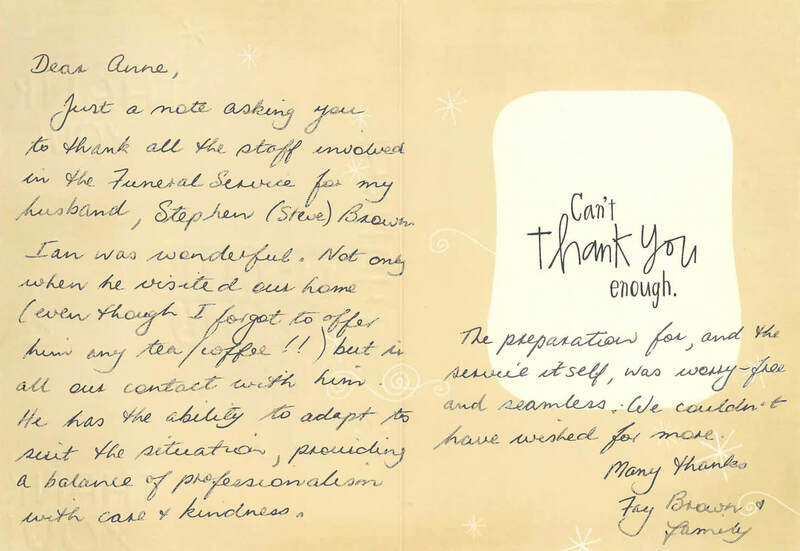 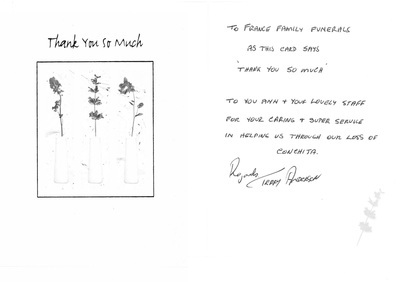 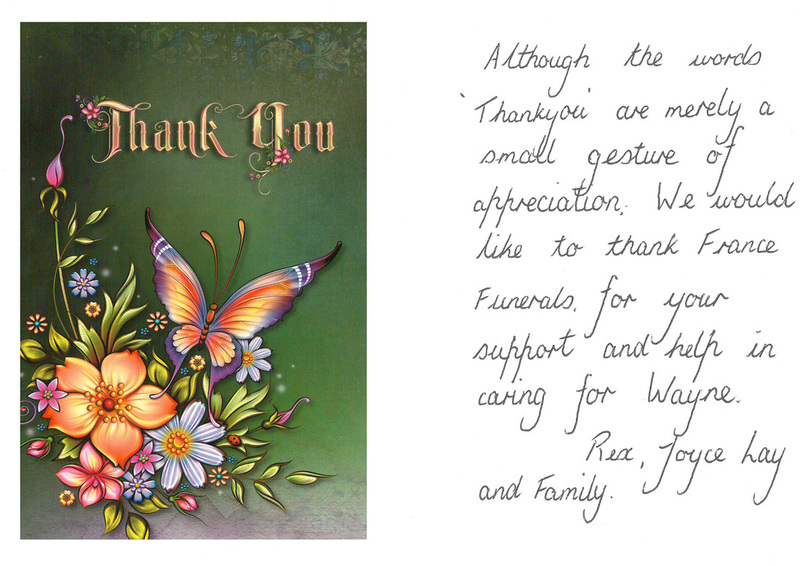 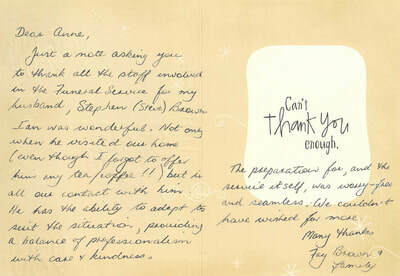 In Funeral service, every detail is important to you and to us!